Here are a few pictures from Davy’s 40th birthday party at The Cow in West London. It was the best birthday party ever! 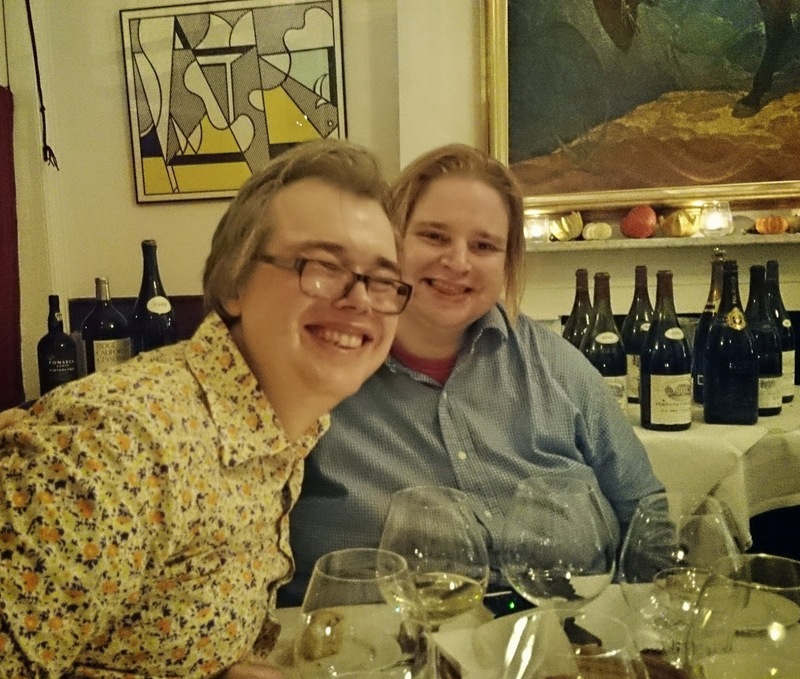 The food and service was outstanding, the wines were truly awesome, and so was the company. Thank you all for making it such a special, fun and memorable evening! Thank you to Dani for organising these photos. I would also be failing in my duties if I didn’t thank super chum Ricard Giner for organising a brilliant venue for my Big Bottle Birthday Booze Bonanza, and all my friends for coming and making it a truly magical event. I couldn’t have had so much fun without so many nice people being charming and friendly and saying glowing things about my wine. There were many nice things to sat. The Arlaud’s in particular were stunning. People claimed the Morey 1er Cru Ruchots 2008 was Arlaud wine of the night, but I didn’t get to try that. The Charmes-Chambertin 2007 was really beautiful but the Clos St Denis 2008 provided all the pleasure I could ask of a 2008 Burgundy. Indeed, it’s probably the best wine I’ve had from that vintage. Chandon de Briailles confirmed their status as a brilliant producer with three wines – they just had it all: poise, beauty, finesse, depth of character, class… The Cerretto jero was obscene in terms of size and quality Pol Roger 1996 was in top condition and had aged into one of the greatest Champagne’s I have tasted, Gimmonet’s 2002 Millesime de Collection was really special too. I loved finishing off with a huge bumper of 2003 Fonseca Port. Everybody seemed quite taken with Le Montrachet 2009 from Marquis de Laguiche. There were loads more and they all went. All wines were in magnum or larger format. I’ve rarely had such fun, thanks boys and girls for making it so. Errant nonsense! The Riesling from Herr Donnhoff was the wine of the night. And what a night it was. I would love to remember more of it. If you’d taken the time to read and decypher what I had written, Edward, you would have seen I claimed there was one of the Arlauds which was viewed as wine of the night out of the three Arlauds I presented. Hence: Arlaud wine of the night. The Donnhoff was the cat’s ring piece, it is true, like drinking harmless shards of hyper-sharp, fruity glass. Brilliant. Ah but you see, good taste is not democratic. Otherwise mateus and blossom hill would be best. No, the Donnhoff was the best wine. And yes, far better than the Montrachet or the Italian. Because I am a total god I am right and everyone else is wrong. It was a legend-making evening, but Mr. Tully is wrong about the Donnhoff. I expect it will be brilliant in a dozen years but at present the sulphur is an all engulfing health hazard, and I like sulphur.